OMG Babies! Cute baby-anything photos and videos from around the Web » Blog Archive » This baby like eating peas, carrots, and SOULS! This baby like eating peas, carrots, and SOULS! Angry baby, plotting to take your cookies. 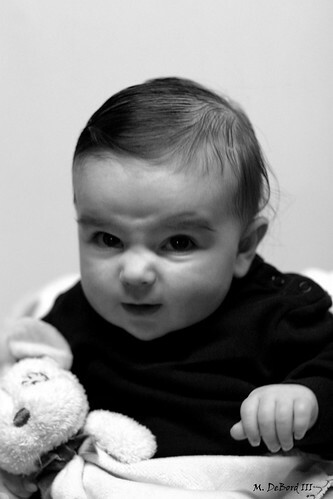 angry baby, originally uploaded by mdebord3. and is filed under babies, frowning, pictures.